Which colours are recycled plastic products available in? Cranberry, Blue, Green, Black, Brown, Multi-Coloured - Please see 'Colours' tab for more information. How do I clean the product? Wiping the product down with warm soapy water will remove any dust, dirt or pollen that has accumulated. 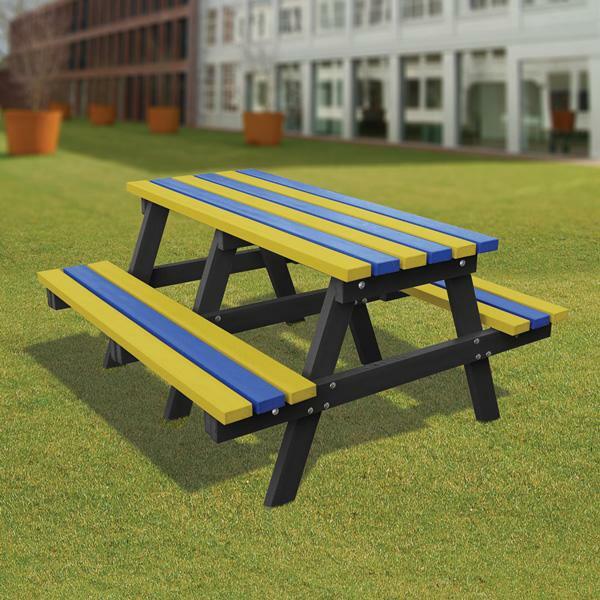 Our products are completely maintenance free as they are manufactured from premium recycled plastic. How long is the product guaranteed for? Our products are guaranteed for a minimum of 25 years against natural defect, however there is no reason as to why recycled plastic products shouldn’t last a life time. Are the products easy to assemble? 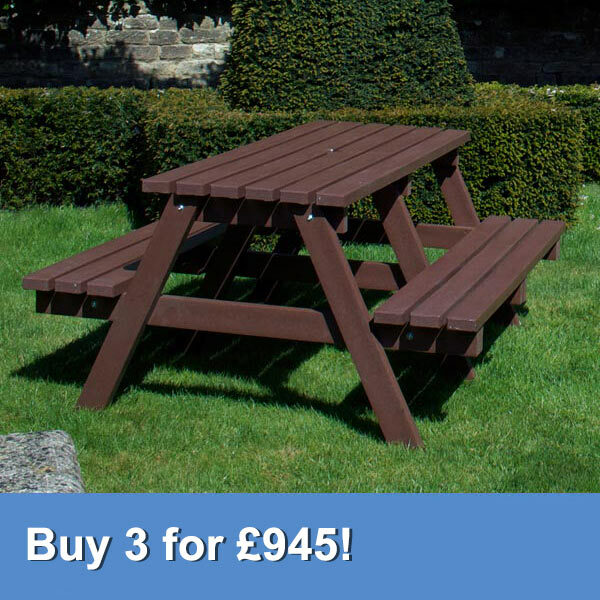 Products are supplied part assembled, with all of the fixing bolts where applicable and full assembly instructions. Can the recycled plastic be painted? No, recycled plastic is supplied in a finished form that is long lasting and does not require paint, stain or varnish like those used to preserve wood. 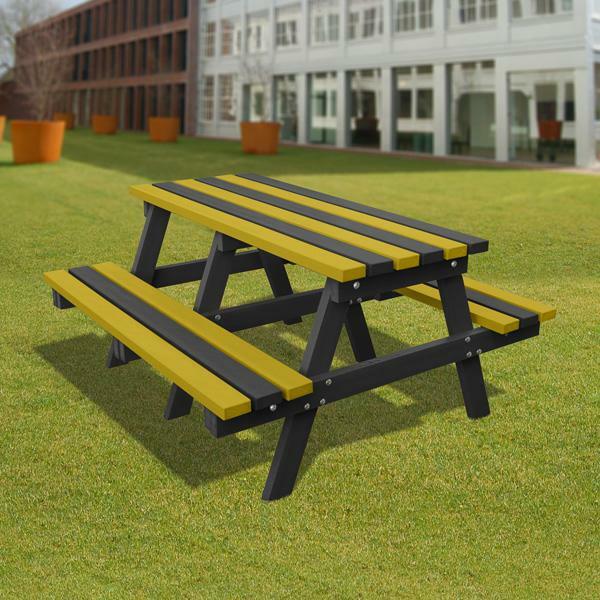 All recycled plastic products are nonporous and therefore resistant to algae / bacteria. Surface area dirt or mould can be simply cleaned with a damp cloth. Does the product splinter like traditional timber? No, another key benefit of recycled plastic material is child friendly nature, the product will not splinter and can be easily/ quickly wiped down and ready for instant use. Can recycled plastic be recycled again? Yes, the very nature of the material means that it can be recycled yet again avoiding the landfill. Can I request a bespoke size/ variation to this product? 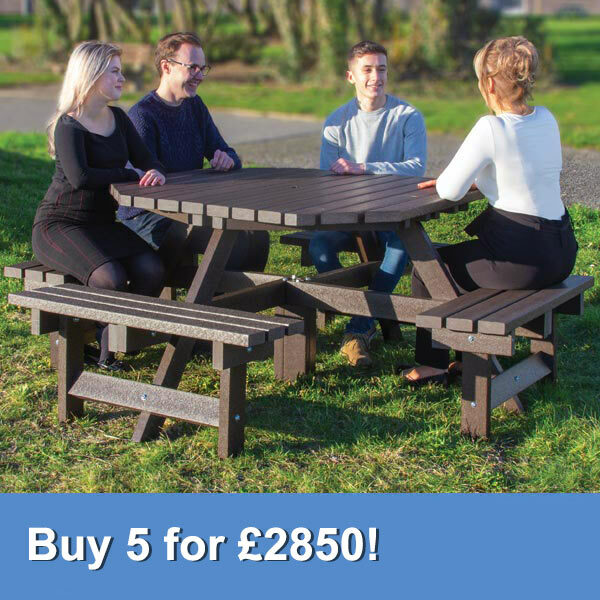 Yes, please contact us either by email (sales@recycledfurniture.co.uk) or telephone 0800 1777 052 to discuss your requirements. What is the lead time on recycled plastic furniture products? For stocked products we aim to despatch within 3-5 days, manufactured items are around 2-4 weeks, and furniture from our suppliers can take longer. We will keep you notified by email/ letter for delivery dates. Should you require a certain time scale please contact us either by email (sales@recycledfurniture.co.uk) or by telephone 0800 1777 052, as we can usually accommodate. For delivery to destinations outside of Mainland UK please call freephone 0800 1777 052. Can I buy on account? Yes we offer 30 days credit as standard available to all established UK businesses, schools, local authorities or public sector organisations (*subject to credit check). There is no minimum order value and credit terms extend to up to 100% of the value of your purchase. For more information please call 0800 1777 052. In the event of the product not meeting your requirements, it must be returned to NBB Ltd in a re-saleable condition within 30 days of delivery. In such circumstances, we will either make good any shortage or non-delivery; replace or repair any goods that are damaged or defective upon delivery; or refund to you the amount paid by you for the goods in question. Any credits and refunds will be made only after the Company's receipt and inspection of the goods. Refunds will only be provided using the same payment card used to place the order. The Company reserves the right to refuse the Customer credits and refunds in the event of goods being returned in a used and/or unsaleable condition. Please note, if you wish to return the products you purchased after the 30 day period then a restocking fee / delivery charge will be applicable. Bespoke products are non - returnable unless found to be faulty. 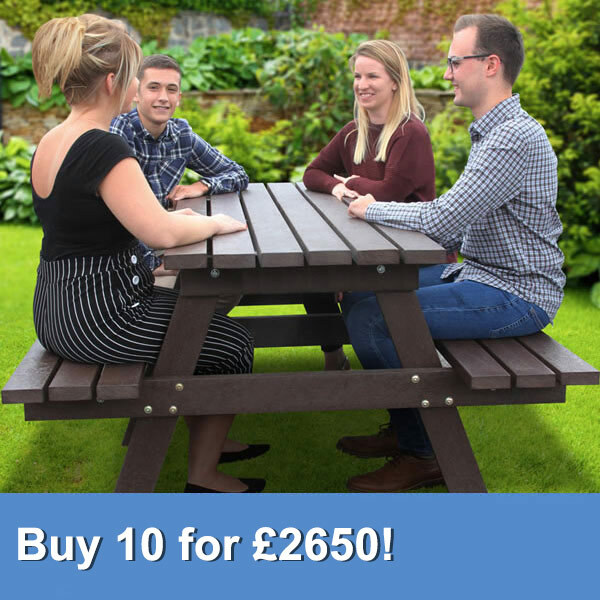 Our exclusive contract recycled plastic table - offering fantastic value for money when purchasing in quantity!